Imagine driving a car with your kids in the backseat. As you drive along, you see other drivers busy on their phones and not even looking at the road. Scary? Yes, it is. Unfortunately, this happens more than we would like for it to. It’s also the leading cause for car accidents. In 2012, a 17-year-old girl was involved in an accident that almost took her life. The accident changed her life completely. Her name is Liz Marks. She was driving her car when she looked down to read a text message from her mom. Since she was looking down, she didn’t see the vehicle in front of her. She then slammed into a flatbed tow truck. Marks suffered a traumatic brain injury, fractured skull and collapsed lung. Her left eye is also permanently blind from the accident. In a video posted on the National Highway Traffic Safety Administration (NHTSA)’s YouTube page, she also shared that she cannot smell, hear clearly or create tears because her tear ducts were damaged. She suffered from many health complications. Marks said that she always used her phone when she drove. Now, she knows how dangerous distracted drive is. Marks hopes that everyone will learn how dangerous texting and driving is through her story. We respect Marks, and we know it takes a lot of courage to talk about a personal event like that. We hope this helps spread the word about the dangers of distracted driving. In 2012, NHTSA recorded over 3,300 deaths and 420,000 injuries in distracted driving related crashes. According to data in Kentucky, over 52,500 collisions in 2013 involved driver inattention. These crashes killed 163 and left more than 9,000 people injured. From January 2011 to February 2013, Kentucky police issued 976 citations for texting while driving. Police claimed this was fewer than the actual number of people who violated the law. It’s hard to tell when drivers are really texting and driving or if they are just looking down. However, this does not give us an excuse to fool around while driving. We need to stay focused on the road in order to reduce the amount of distracted driving accidents. We can’t control other people’s actions, but we can control our own. Please put down your phone until you have safely reached your destination. 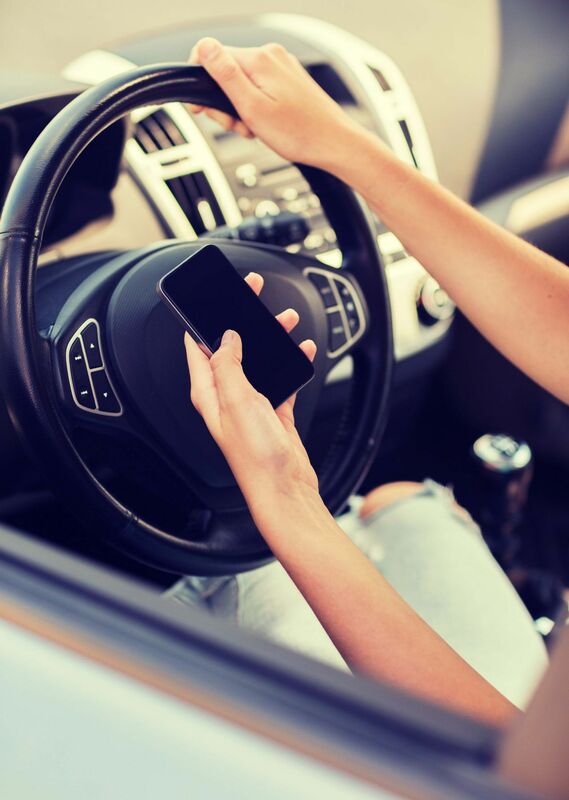 As a Kentucky Accident Attorney, I want to end distracted driving. One of the major problems is many people are not getting caught, so they keep texting while driving. You risk your life and the lives of everyone around you when you take your eyes off the road. So please, let’s keep our phones in a place that won’t distract us. The call or text message can wait. It’s not worth your life.